Photo courtesy Claude du Granrut. 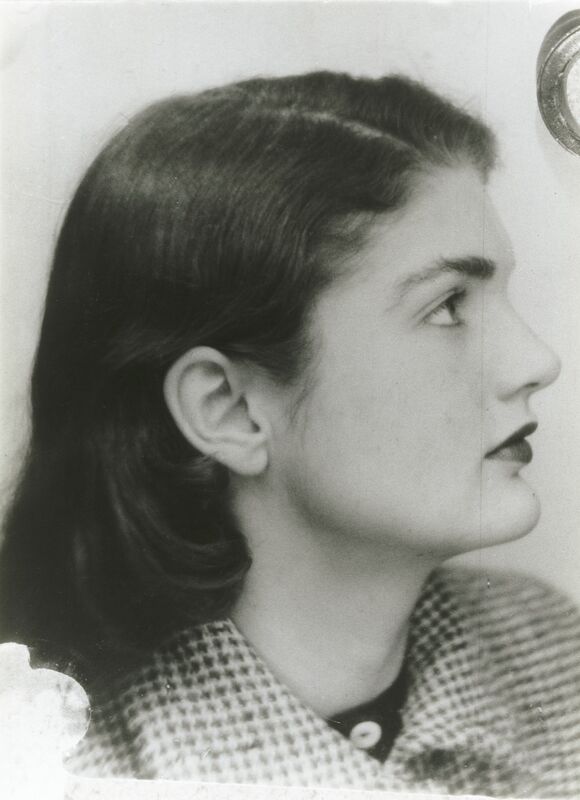 Jacqueline Bouvier’s student ID from her 1949-1950 junior year abroad in Paris. 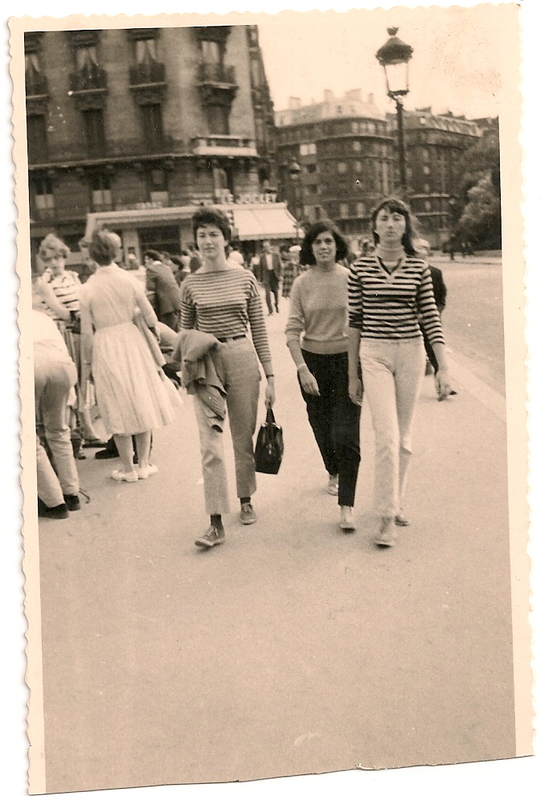 Her host sister, Claude de Renty, saved the ID along with other keepsakes from the young American woman who became her lifelong friend: a ration card for coffee and sugar, a bilingual poem, letters, and snapshots from their summer trip through the French countryside. 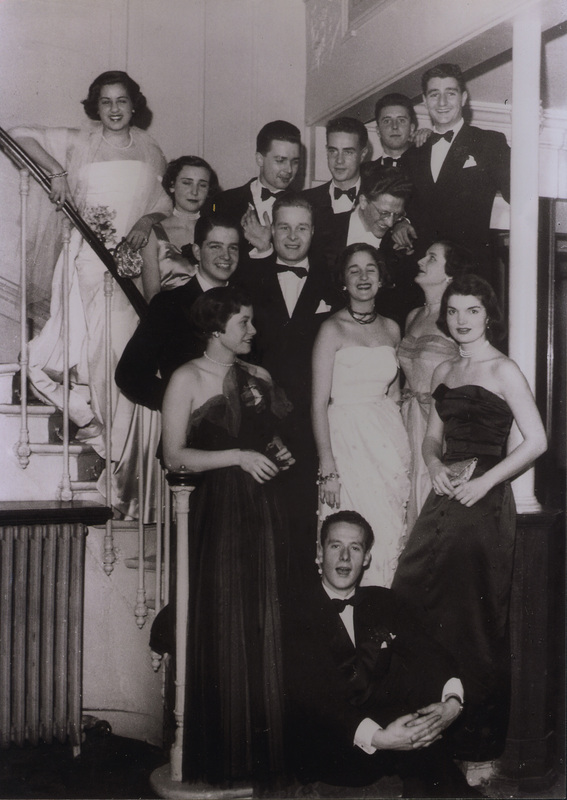 “I really have two lives,” Jacqueline wrote her stepbrother from Paris, “studious” and “swanky.” Here she is with her great pal Paul de Ganay and his friends from the Faubourg Saint Germain, posing in evening gowns at the Restaurant Ledoyen. “Even the rich were poor after the war,” Paul remembered. They might have been wearing tuxedos and ballgowns, but they danced to Claude Luter records and drank cheap champagne. In 1958, a street photographer took this portrait of Harriet Sohmers and her sister Barbara, with Susan Sontag behind them. They’re crossing the Pont au Double towards the Ile de la cité, with the Quai de Montbello behind them. A tall young beauty with her Prince Valiant bangs, Harriet is rumored to have inspired the young American student abroad played by actress Jean Seberg in Jean-Luc Godard’s film Breathless. 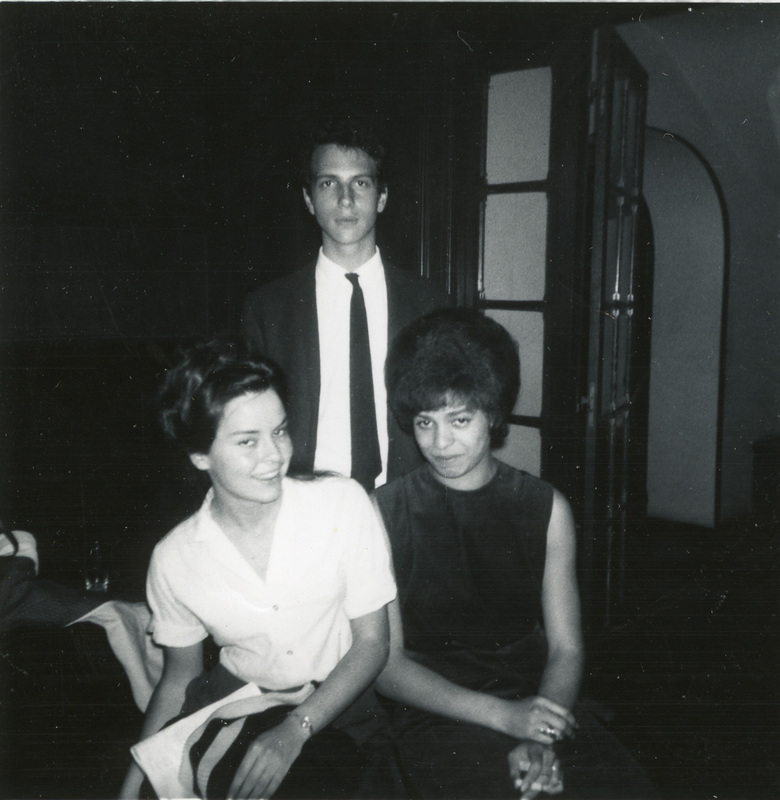 Angela Davis arrived in Biarritz in the fall of 1963 for the Hamilton College Junior Year in France. Here she poses with Howard Bloch and Diana Sumner from the program. Her fellow students remember her as an intellectual model—and so beautiful that young Frenchmen in the student cafeteria jumped up for a chance to light her cigarette. Photo by Robert Carl Cohen, www.radfilms.com. 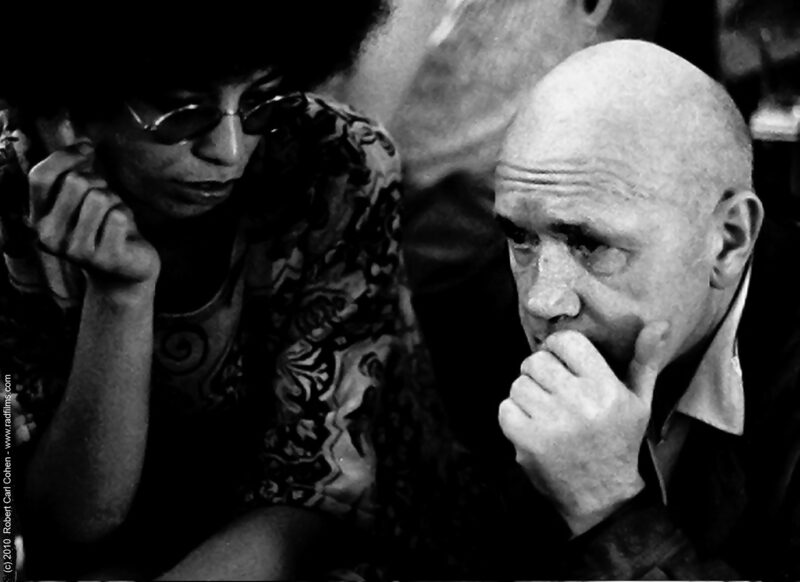 The French writer Jean Genet traveled to the United States in 1970 in support of the Black Panthers. Angela Davis, now a philosophy professor at UCLA, served as his translator for his speech at UCLA. Here she is deep in conversation with the French playwright at a benefit for the Panthers hosted by writer Dalton Trumbo in March 1970.